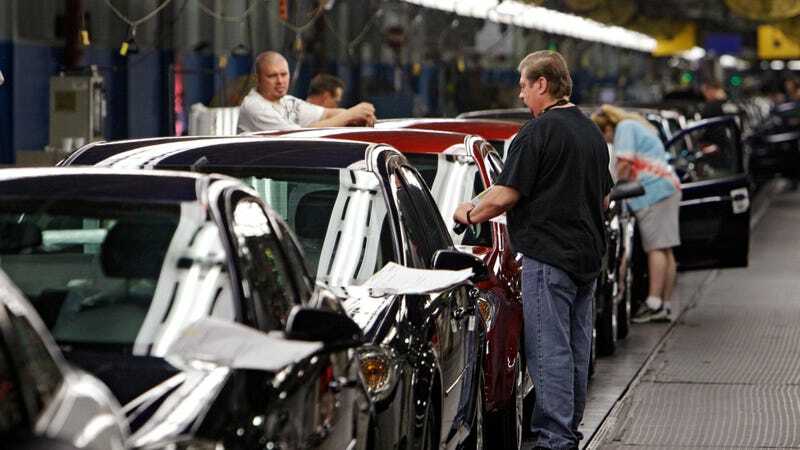 More than four-thousand salaried staff within General Motors will be handed their walking papers Monday morning starting as early as 7:30 AM Eastern, according to reports from Automotive News, CNN, and Detroit News. This comes as the first move in GM’s plan to cut as many as 14,000 jobs this year, including the indefinite idling of five manufacturing plants. A plan which we first learned about last November. This massive cut to GM’s workforce is part of an effort to reduce operating costs by up to $6 billion by the end of 2020, which GM will use to invest in a new generation of electric and autonomous car technology. GM is banking on Cruise autonomous ride-hailing becoming the prevalent mode of transportation. This salaried employee layoff comes after about 2,300 members of staff accepted a voluntary buyout package, which was offered to more than 18,000. A further 1,500 contract employees were not renewed when their contracts ended. By becoming a smaller and more nimble GM, the company hopes to be able to weather any upcoming automotive storms. With many automotive companies reporting massive new car sales downturns, this may not be an unwise decision, despite the sour taste that comes with mass layoffs. GM is scheduled to report financial results this coming Wednesday, and the forecast isn’t bright, as the company is likely to post lower earnings than previously expected. The timing of the layoffs ahead of the earnings call may be an effort to allay some Wall Street worry. Or maybe I’m being cynical. In any case, come Monday, there will be 4,000 new American manufacturing folks standing in the unemployment line just one day before the president plans to tout American manufacturing in a delayed State of the Union address.